Our national strength matters, but the spirit which informs and controls our strength matters just as much. This was the special significance of Robert Frost. He brought an unsparing instinct for reality to bear on the platitudes and pieties of society. His sense of the human tragedy fortified him against self-deception and easy consolation. “I have been” he wrote, “one acquainted with the night.” And because he knew the midnight as well as the high noon, because he understood the ordeal as well as the triumph of the human spirit, he gave his age strength with which to overcome despair. At bottom, he held a deep faith in the spirit of man, and it is hardly an accident that Robert Frost coupled poetry and power, for he saw poetry as the means of saving power from itself. When power leads men towards arrogance, poetry reminds him of his limitations. When power narrows the areas of man’s concern, poetry reminds him of the richness and diversity of his existence. When power corrupts, poetry cleanses. For art establishes the basic human truth which must serve as the touchstone of our judgment. Because of Mr. Frost’s life and work, because of the life and work of this college, our hold on this planet has increased. 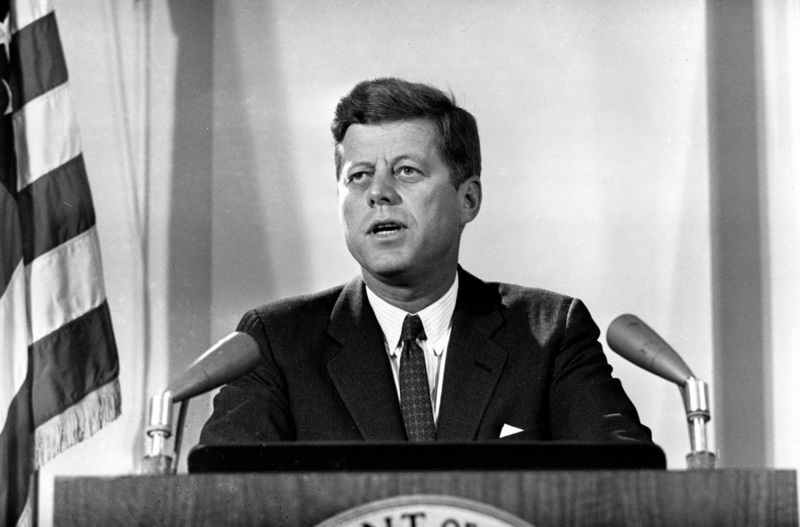 Above text courtesy of the John F. Kennedy Library and the U.S. National Archives. Only if we as a nation could remember the past, then we could make a better future for ourselves as well as our children. I repeat those words that President Kennedy spoke at the Amherst College just days before he was assassinated.